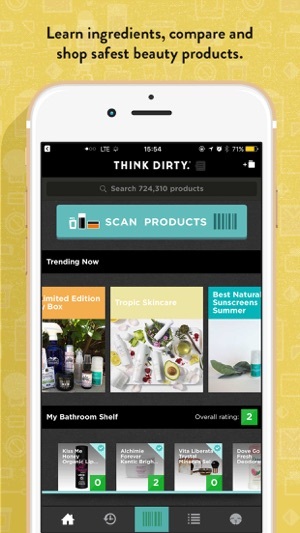 I have had cosmetic allergies, so I was excited to hear about “Think Dirty “ However I found it very disappointing. It seems to only promote on line expensive cosmetics. 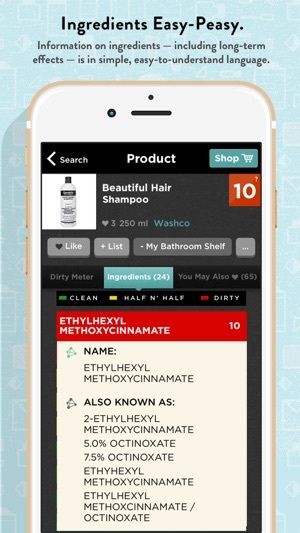 Very few drug store or everyday brands are in the app even common ones like Nivea and others at average prices are not in the app. If I do put them in with the submit process there is no way to tell when or if products are annualized or add to the app. Less the 25% of every day products are in the app so if you need products day to day at a reasonable price this is not the app you want. Thanks for your kind review and we are so sorry that you couldn’t find the info that you needed. 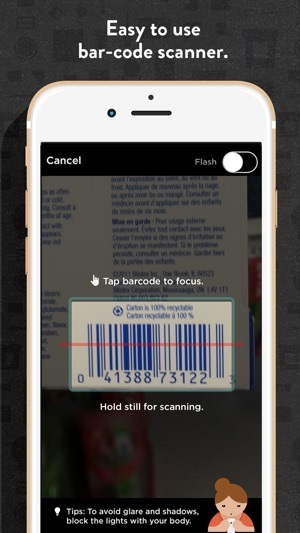 If you scan a particular product and it doesn't show, try to do a generic manual search of that product. UPC codes can differ for countries as well. 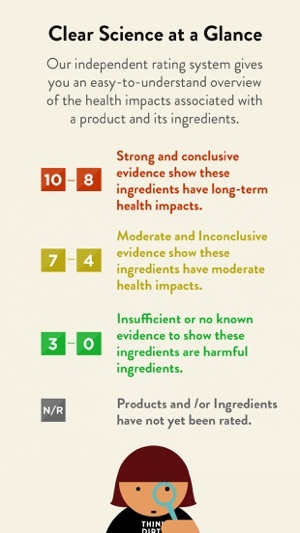 We cross-reference ingredient information with lists of prohibited ingredients from government and non-profit health and environmental groups. We take the health impacts of cosmetics seriously, so if there’s enough evidence showing that even a single ingredient is unsafe, it will be listed as “Dirty” on the “Dirty Meter”. So we promote products according to ratings based on our own interpretations rather than price. All I can say is wow! I scanned some of my products and most of them scored high on the dirty level. I didn't realize just how much junk is in that stuff. 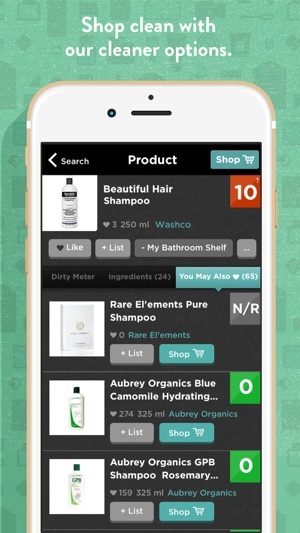 I plan on swapping some of my products for cleaner ones recommended in the app.